Power Over Ethernet. Power injectors for DIY PoE, IP Cameras, and other applications. 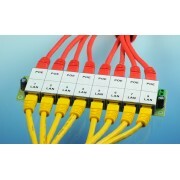 PoEP16 Power over Cat5 Ethernet 16 Channel Injector. Rack Mountable 16 channel PoE fixture. 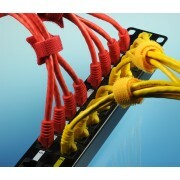 16 Cat5 Ethernet in and 16 Ethernet plus power out.POEP16 Pas..
PoEP8 Power over Cat5 Ethernet 8 Port. Power over Ethernet passive injector. 8 port and nicely labeled. Mounting holes to attach to just ..